Need high-speed storage units for your machine? 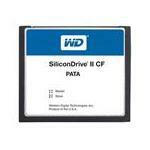 Get Western Digital (WD) Solid State Drives (SSDs) and increase the pace of your work multifold. Not only are the WD SSDs lighter but also have an impressive performance track record and robust data fetching mechanism, allowing users to experience the next level storage medium combined with speed and advanced data handling capacity. Get more storage with Western Digital 1TB and 2TB SSDs. These drives can enhance the storage capacity of laptops, desktops and server computers and also enhance their speed by storing data on a semiconductor chip instead of disk platters. 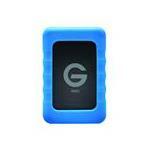 Moreover, with no moving parts involved, the device can easily be used as an external or internal SSD. These drives have a low ratio of failure in comparison with their HDD counterparts. 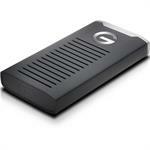 Western Digital Solid State Drives provide faster storage solutions. These SSDs are specially manufactured for servers, where the need for robust data fetching functionality is most pronounced and is, therefore, an integral part of data handling capacity of the modern age. 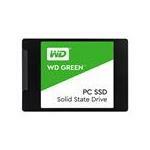 Get Western Digital Internal and External Solid State Disk Drives for Laptops, Desktops and Servers today from Memory4Less.com and avail free ground shipping.